And so, with Turkmenistan’s scalp finally claimed, one more story has been added to a lengthening list of tales that will one day be legends. Little boys’ eyes will glisten with awe as parents tell them of these hardy men who fought so valiantly for flag and country so that Philippine football might soar into heights heretofore unexplored. In a story rich in plots and subplots, in the end it came down to two players, two moments and, ultimately, two chances. Both were golden and both were taken. One was missed; the other decisive. Turkmenistan arrived in Manila with the pedigree of bridesmaid’s finishes in the two previous editions of the Challenge Cup; and made no secret of its desire to become the bride at the third time of asking. The Philippines, on the other hand, were on the brink of their first-ever appearance in the Challenge Cup final last year before being undone late in the semi-final against – who else – Turkmenistan. The timing of the 67th minute strike could not have been more perfect. It came after a spell when the Philippines’ midfield was starting to show signs of weariness and gaps were beginning to appear. Fortuitously, the defence was on tops of its game. 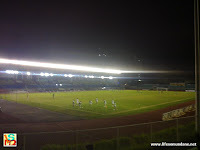 Last night at the Rizal Memorial, therefore, was as much a grudge match as it was a stepping stone to the Challenge Cup main tournament which is to be hosted by the Maldives in 2014. It took Stephan Schröck, who gave a dazzling display last Sunday against Cambodia, just over half a minute to twist and turn past several Turkmenistan defenders before lofting a ball into the middle. Phil Younghusband, hattrick hero last Sunday, had time to collect. His leftfooted shot was instinctive and predatory; but the post was in the way. Although the ball rebounded back into play and was eventually hacked away, that incident was probably the second best thing that happened in the match. Had Younghusband scored, it could have been the platform for an open game and a possible goalfest. Or, unless more goals were scored, it would have meant that the Philippines had 89 more minutes plus added time to defend the lead. In Kathmandu last year, the Philippines led Turkmenistan 1-nil thanks to Younghusband’s 25th minute strike. Because the team could not score again, it eventually succumbed to the pressure of defending the narrow lead. Younghusband’s early miss last night was only the first of several looks at the Turkmenistan goal; and indeed, one started to suspect if he might have fired all his missiles against Cambodia. Truth be told, Turkmenistan were really lacking in invention and could not get behind a Philippine backline superbly marshalled by Rob Gier and Juani Guirado. If at all Turkmenistan was to find a way to goal, the most likely route was the dead ball. But as the Philippines and Younghusband found in the first minute, the frame of the goal can sometimes be the narrowest but also the most stubborn barrier to breach. Indeed, the crossbar was all that stood between Turkmenistan and an arguably undeserved lead. The Central Asians were dogged and physical; but the Philippines were doing most of the running and were getting behind the Turkemistan defence with threatening frequency. The best thing that happened to the match, of course, was the goal that Younghusband himself scored. As with the first minute chance, Schröck was again the architect whose vision created the opportunity. He wriggled free from the attention of his defender but overstruck his pass to the overlapping Dennis Cagara. The latter continued to press and won the ball back from the panicking defender before laying on a chance for Javier Patiňo, who was tackled before he could shoot. The rebound broke kindly to Younghusband, whose shot took a deflection on its way into the net. The timing of the 67th minute strike could not have been more perfect. It came after a spell when the Philippines’ midfield was starting to show signs of weariness and gaps were beginning to appear. Fortuitously, the defence was on top of its game. More than rejuvenating the Philippines as goals always do, it was also deflating to Turkmenistan. It meant that they had just over 20 minutes to do what they could not for almost 70. Because the Philippines had the better goal difference, if Turkmenistan wanted to top the group, it also needed to score twice. Regrettably, a second yellow card late in the match for Younghusband meant that the Philippines had to play out the rest of the game with ten men. Still, so deflated was Turkmenistan and so solid were the Philippines at the back that the latter continued to play as though still with eleven players. Roland Müller spilled the ball in added time to offer Turkmenistan some glimmer of hope. In truth Müller was quick to recover and had the ball smothered before any of the opposing players could get close. The match was scrappy as was bound to happen in a match between two physically robust sides; but the Philippines established control of midfield early in the match. The choice of Chris Greatwich to deputise for the suspended Paul Mulders turned out to be an inspired one. Creativity was probably sacrificed a little; but it was due to his and Jerry Lucena’s combative presence that most of Turkmenistan’s attacks fizzled out in midfield. When the referee blew the final whistle, the Philippines celebrated not only winning the match but also finishing top of the qualifying group. 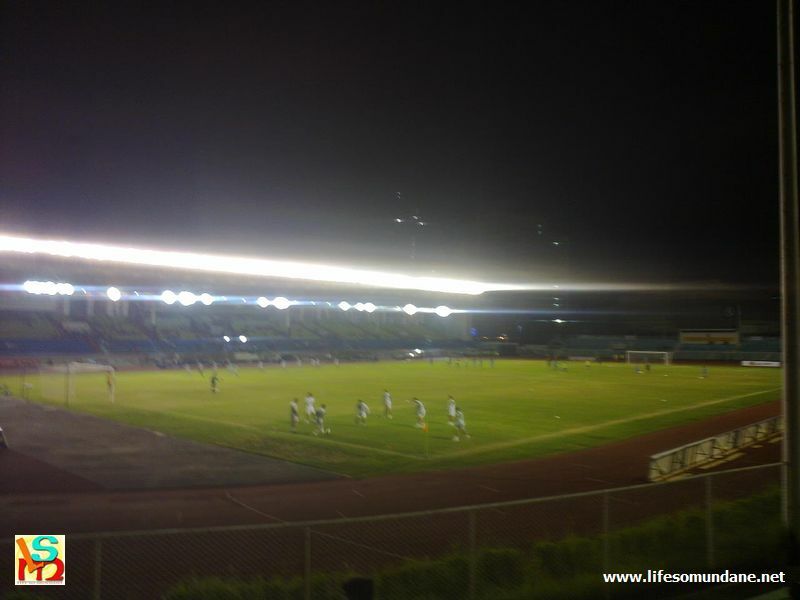 Because Turkmenistan also qualified for the main tournament as one of the best second-placed nations, there was also the knowledge that one of next year’s most likely contenders had been made to look pedestrian one sultry night at the Rizal Memorial.